Companion Cube Silver & Gold Theme There are 2 Reviews. Make new friends, but keep the old. One is silver, the other is gold. Area and state regulations do not allow the Companion Cube to remain here, alone and companionless. 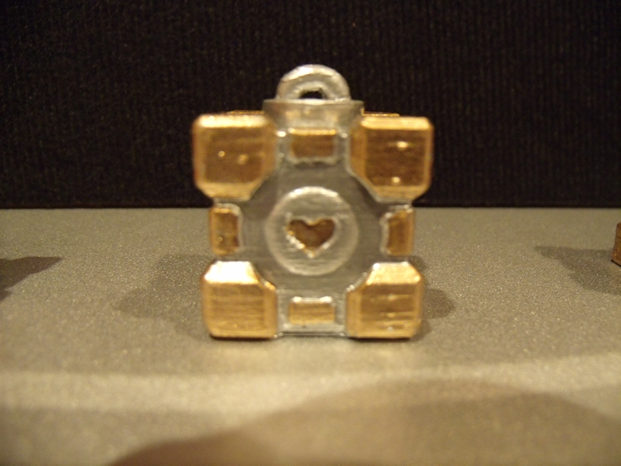 This Companion Cube Charm is both Silver & Gold, so why wouldn't you want to take your own with you.